Dr. Jennifer Kottra is a radiologist from Flagstaff, Arizona. She has been practicing medicine for the past 20 years. Dr. Kottra graduated from the Duke University School of Medicine. She completed an internship in internal medicine at Beth Israel Deaconess Medical Center and a residency program in radiology at University of Michigan Hospitals and Health Centers. Dr. Jennifer Kottra is a board-certified specialist in diagnostic radiology and is licensed for practice in several states. 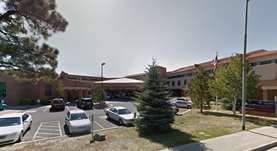 She is currently affiliated with the Flagstaff Medical Center.